In a number of photography forums, some photographers started to complain about Lightroom payment method. Adobe, the company behind Lightroom, is now only accepts monthly based subscriptions for its products. Including Lightroom. It is no longer accepts one-time payment. It means, you will not stop paying Adobe each month all your life as long as you still want to use Lightroom. 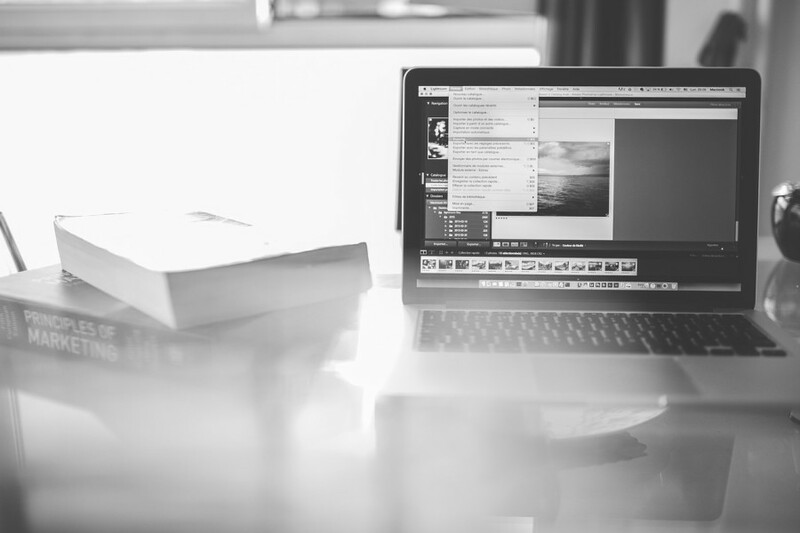 If you are a member of photographers who don’t like that sort of business model, there are several alternatives to Lightroom out there you can use. If you use Mac, I have put together the Lightroom alternatives that don’t require you to be a monthly-based subscriber. Some even are free to use. Below is the list. 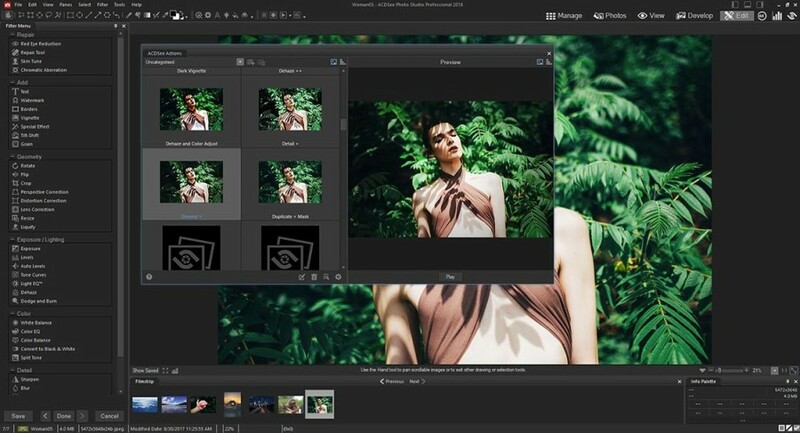 DxO PhotoLab is the first alternative you can use to replace Lightroom. It is a paid tool, but you are not required to be a monthly subscriber to use it. The software of DxO PhotoLab is divided into two versions: Essential Edition which costs $129 and ELITE Edition which costs $199. Same as Lightroom, DxO PhotoLab is also aimed at helping you working with RAW files. The highlight feature of this software is Nik Software’s U Point technology integration which lets you make complex selections in just a few clicks and edit specific areas in your images. DxO PhotoLab itself was formerly known as DxO OpticsPro. Before deciding to make a purchase, you can give this tool a try first since it offers a 30-day free trial. 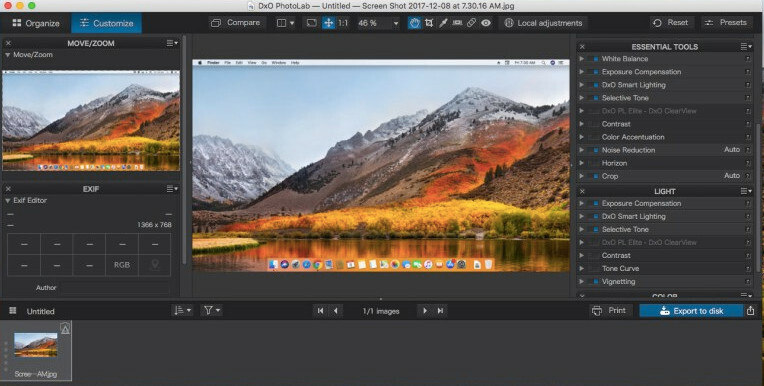 Capture One Pro is also a great alternative to Lightroom that doesn’t require you be a monthly subscriber, although the option of monthly-based subscription is available. If you prefer to pay once, you need to spend $299 to use this tool. More expensive than DxO PhotoLab, but you will get more features. 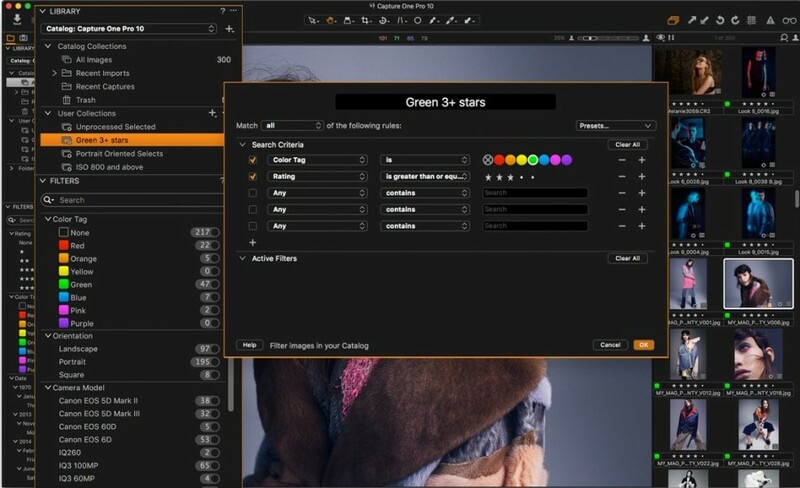 The functionality of Capture One Pro is not different to Lightroom. You can use it as both a digital asset management and photo editing tool, or more specifically, RAW editing tool. You also have a chance to use Capture One Pro for free during the offered 30-day trial period. This tool comes with a fancy interface and a bunch of additional features outside its main function, including the annotation feature. In addition to RAW and JPEG, Capture One Pro also supports PSD format. There are a number of ways to use ON1 Photo RAW. First, you can use it as either Lightroom plug-in or Photoshop plug-in. And sure, the standalone app of ON1 Photo RAW is also available which costs $119.99. 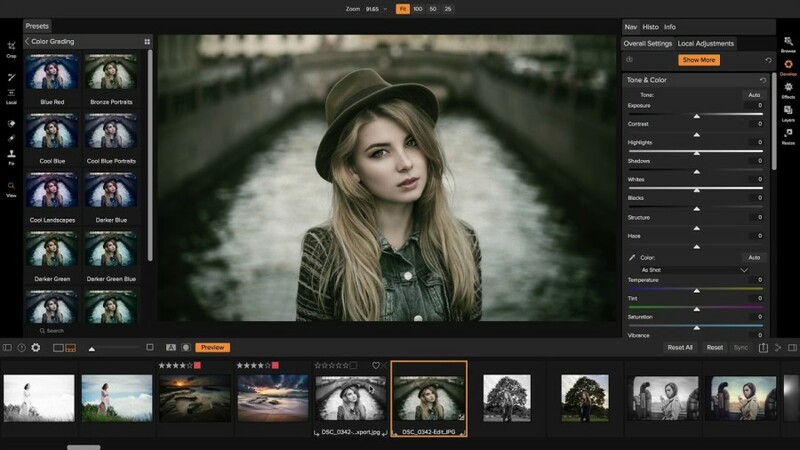 The developer of ON1 Photo RAW claims that it is the only photo app where photographers have a voice in what the developer build and how the developer build it via the Photo RAW Project. Some features offered by this tool include fast photo management, hundreds of customizable photo effects, fast and beautiful HDR, panos, masking and selection tools, layers and so on. Same as two first apps above, ON1 Photo RAW also offers a 30-day trial period to give you a chance figuring out if it suits your needs before making a purchase. ACDSee Photo Studio can be a nice alternative if you are looking for an affordable RAW processor. You can get tool for only $59.95. Don’t worry if you really have a very tight budget. You can use this tool for free during the trial period before making a purchase. In addition to processing RAW, ACDSee Photo Studio Professional can also be used as an asset management just like Lightroom. Another affordable RAW processor that doesn’t require you to be a monthly subscriber. 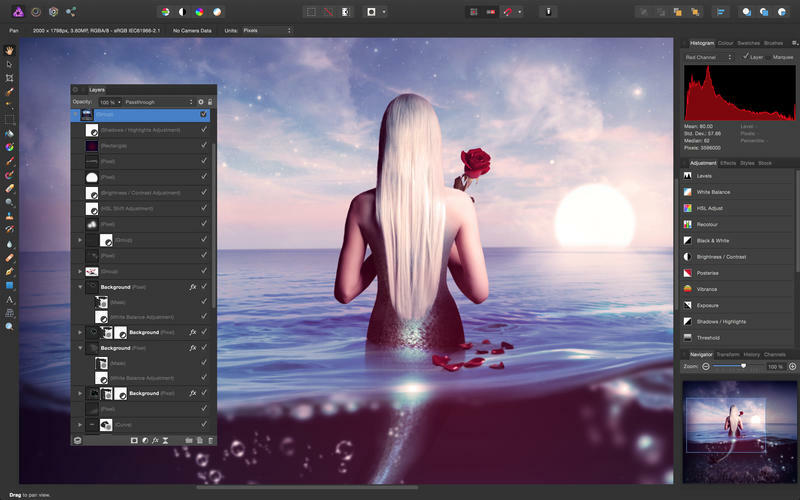 You can get Affinity Photo for only $49.99. You can use this tool to correct and enhance images with the offered features like Levels, Curves, Black and White, White Balance and so on. Furthermore, the tool also provides advanced lens corrections and noise reduction to allow you to have full control to really bring out the best in any image. While you can this tool to edit RAW, PSD is also supported in case you have some PSD files to edit. Some of features you will probably love to are batch processing, full Liquify capabilities, real-time effects and so on. Photography doesn’t have to be expensive. If you are just getting started into photography and don’t have too much money on software, there are several free tools you can use. One of which is Darktable. 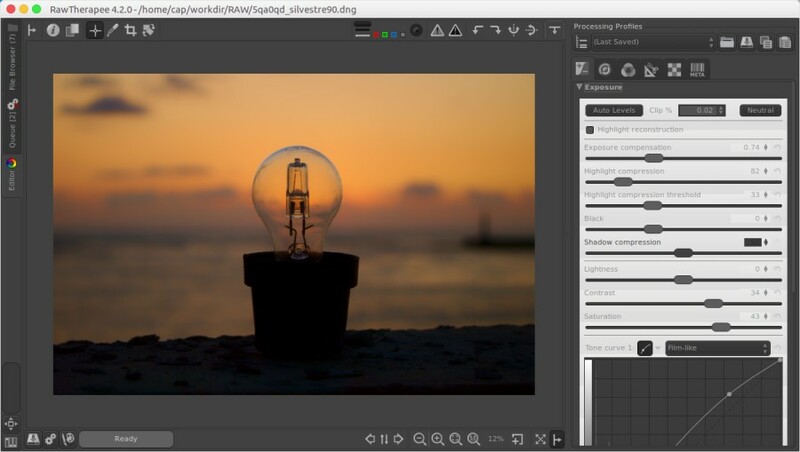 It’s arguably the best free alternative to Lightroom, with the equal capabilities. Darktable is indeed intended as the alternative to Lightroom. You can use it to process RAW files as well as manage them. The interface of Darktable itself is extremely similar to Lightroom. 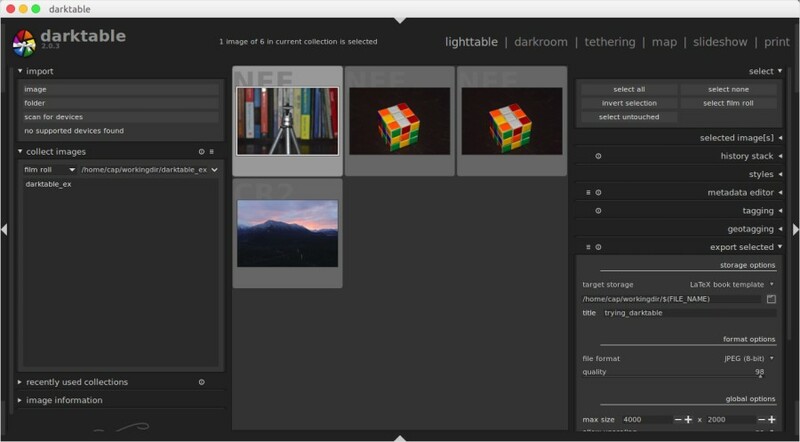 Darktable is an open source software, available for a wide range of platforms. Including Mac. You can learn more this tool on this page. Same as Darktable, RawTherapee is also free and open source. It is the simplest tool on this list. If you use GIMP, RawTherapee can be a perfect companion since it comes with an integration with GIMP. RawTherapee is also available for Mac. It is a perfect tool if you are looking for a basic RAW processing tool.